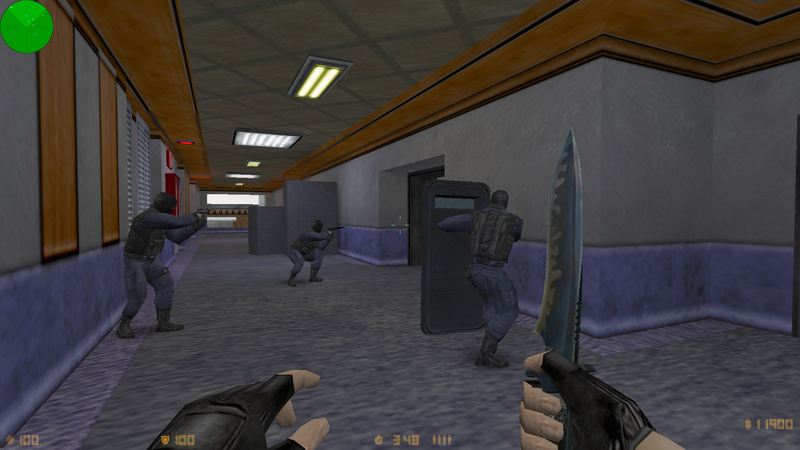 This version of the game is new fully improved edition of Counter Strike with a powerful design and professional CFG. 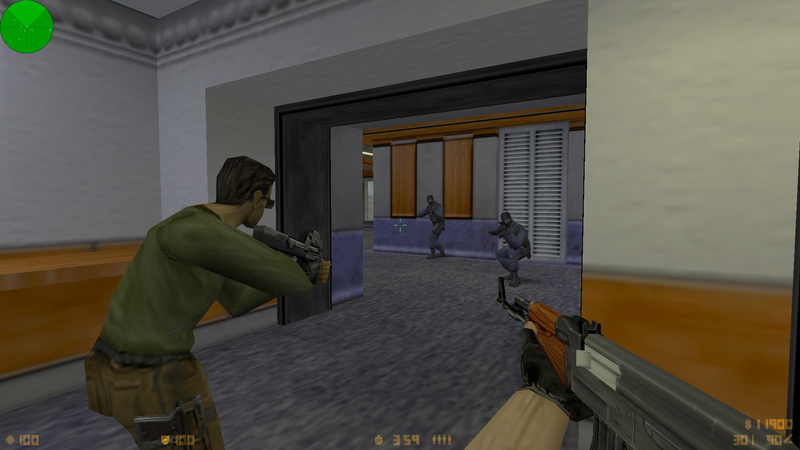 It includes oldschool models, sounds and sprites. 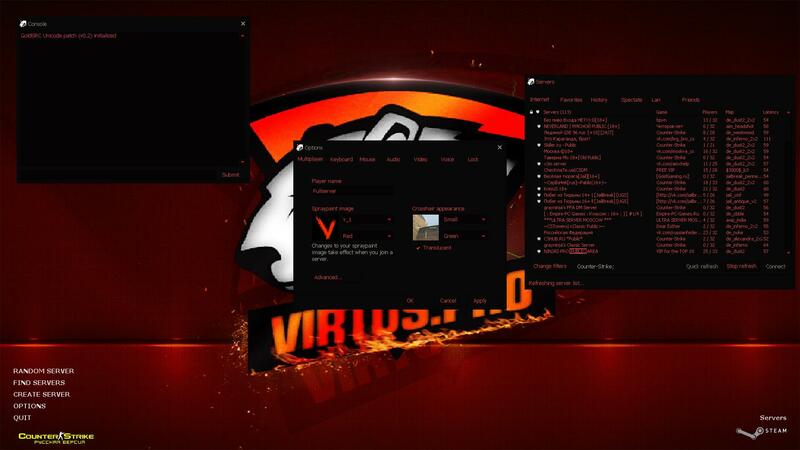 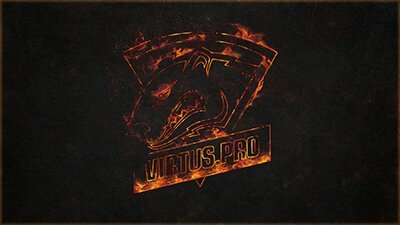 It also carries a theme of one of the most famous Cyber-teams Virtus Pro that can easily be seen straight after the launch. 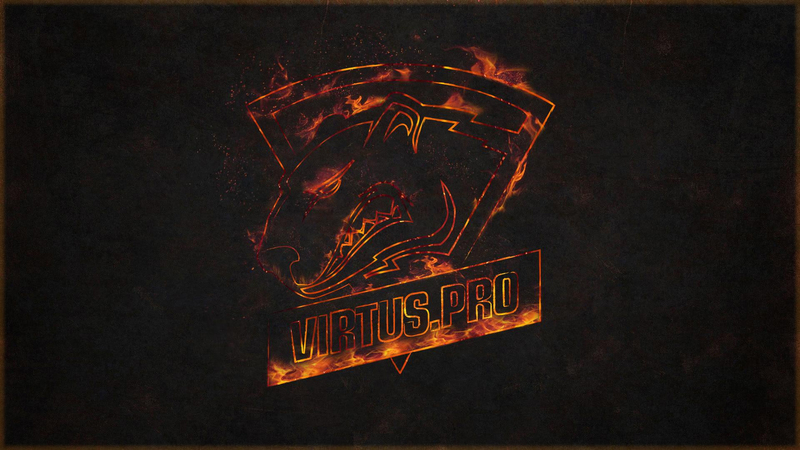 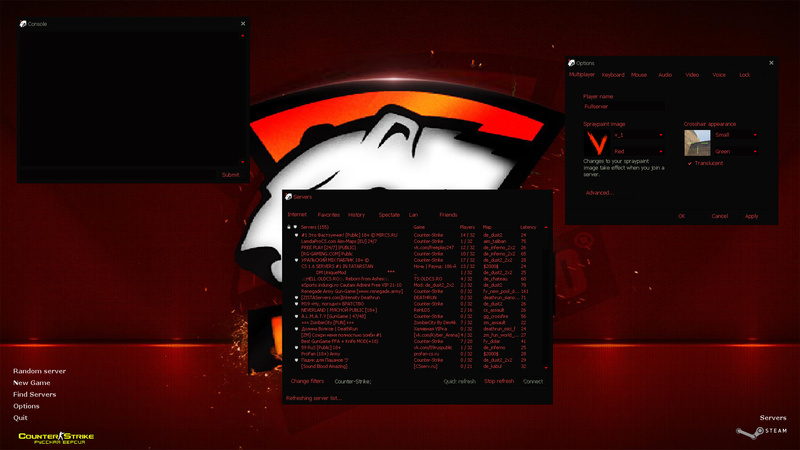 New background and color design of game menu makes CS 1.6 Virtus Pro edition look fresh and much more modern than the classic version. 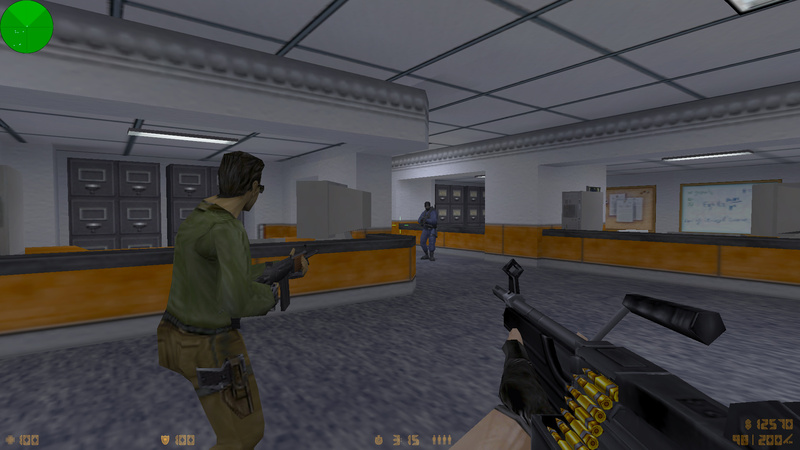 Inside the actual gameplay we find great quality original weapon and player models and sprites which creates a great atmosphere for a good game. 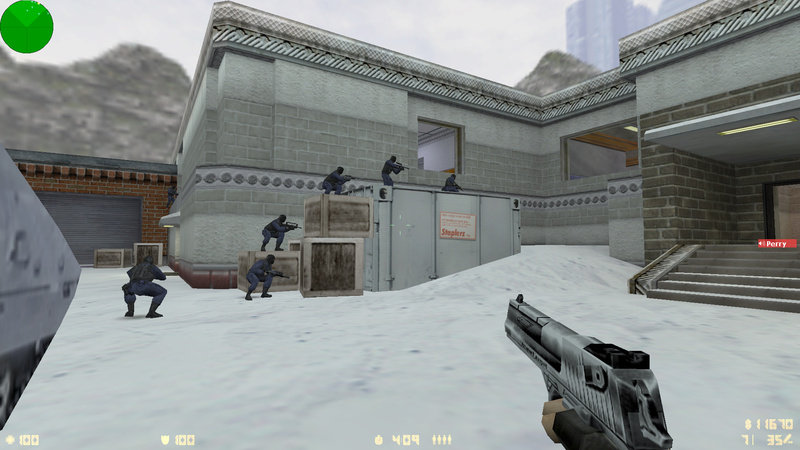 It is quite essential to point out that this version of CS 1.6 includes smart bots that can analyse any map you want to play. 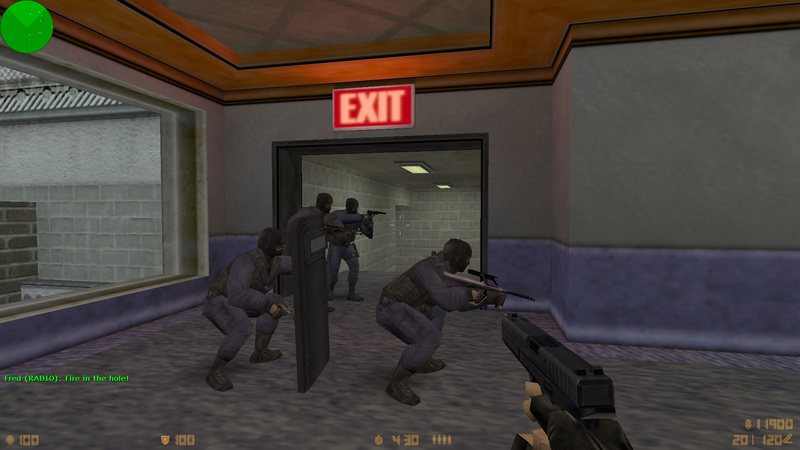 Just give them several seconds on the map start and after they are done, it's time to play. 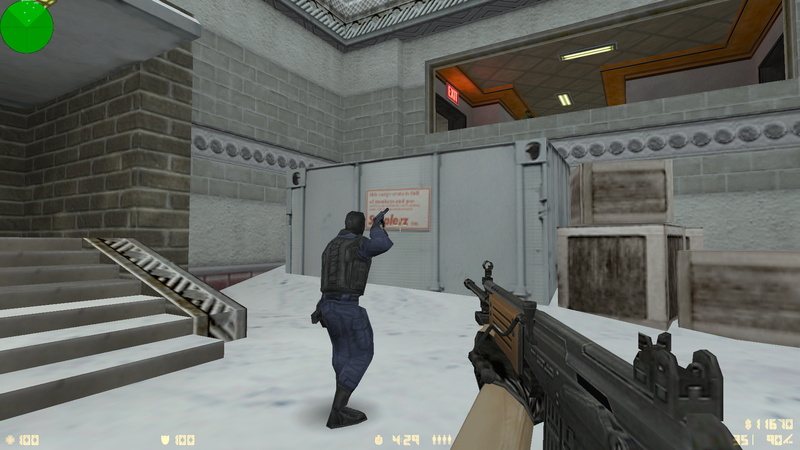 That way there's no need to build waypoints by yourself which was usually an issue for new maps. 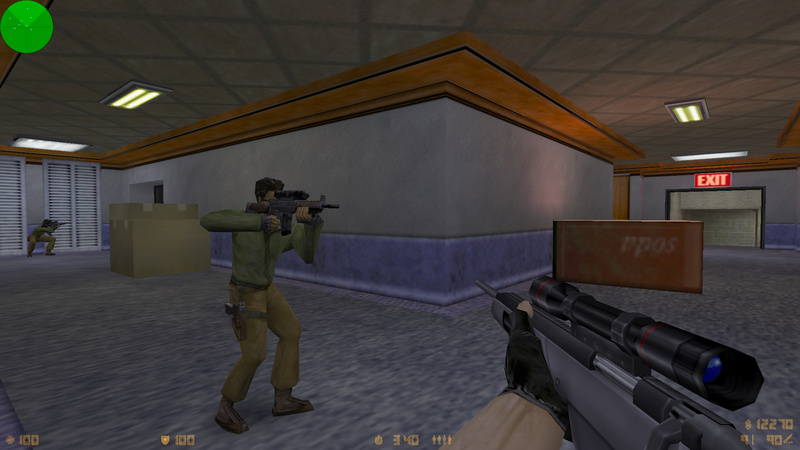 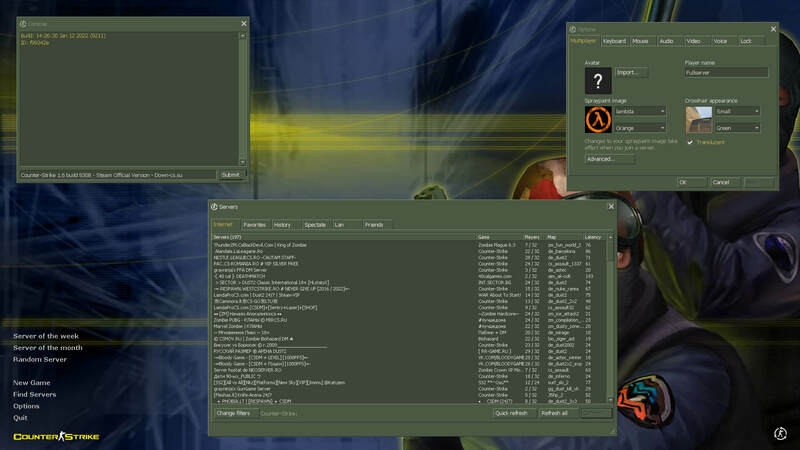 Download Counter-Strike 1.6 at our website to get a client with powerfull protection from malicious scripts and files will make it safe to play without a fear of an admin damaging it or being injected with Autoconnect or a GameMenu hack.